Aviation Search Group will be exhibiting at Heli-Expo. Call or email today to setup an appointment with our team. For more than 60 years, HAI has provided support and services to its members and to the international helicopter community. Headquartered in Alexandria, Virginia, HAI members safely fly more than 5,000 helicopters some 2.3 million hours each year. Governed by a Board of Directors elected from the membership, with daily operations conducted by a dedicated professional staff. Aviation Search Group will be exhibiting at WAI. Call or email today to setup an appointment with our team. 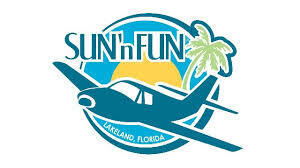 Aviation Search Group will be attending SUN ‘n FUN. Call or email today to setup an appointment with our team. Aviation Search Group will be attending MRO Americas. Call or email today to setup an appointment with our team. MRO Americas connects customers, clients and colleagues from across the aviation aftermarket sector. This 360° networking and learning experience incorporates drill down and informative conference sessions. An unparalleled and extensive exhibition floor provides numerous social and business opportunities. The event delivers a comprehensive mix of new and innovative products, technologies, offerings and services. Aviation Search Group will be attending AAAA. Call or email today to setup an appointment with our team. The mission of the AAAA is to support the United States Army Aviation Soldier and Family. AAAA was formed in early 1957 by a small group of senior aviation officers in the active Army, the Reserve Forces of the U.S. Army and industry. Aviation Search Group will be attending AirVenture. Call or email today to setup an appointment with our team. 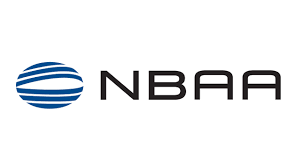 Aviation Search Group will be exhibiting at NBAA. Call or email today to setup an appointment with our team. Join 27,000 industry professionals for the three most important days of business aviation in the year. Ranked as the sixth largest trade show in the United States, bringing together current and prospective aircraft owners, manufacturers and customers into one meeting place to get critical work accomplished. Aviation Search Group will be attending AMTC. Call or email today to setup an appointment with our team.